+ Erin Dufault-Hunter, assistant professor of Christian ethics, reflects on the emotional and psychological complexities of Christian community and practices that can help sustain relationships across ethnic, class, and gender divides. 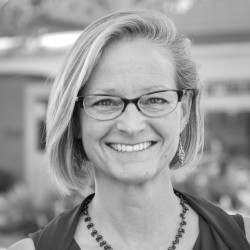 Erin Dufault-Hunter teaches Christian Ethics at Fuller. She regularly speaks and writes on various aspects of our moral life, including sexuality, bioethics, and diversity.